I recently had the opportunity to spend some time with a wonderful troop of chimpanzees. This particular troop was very animated and had me laughing at the similarities I could see from the human species. 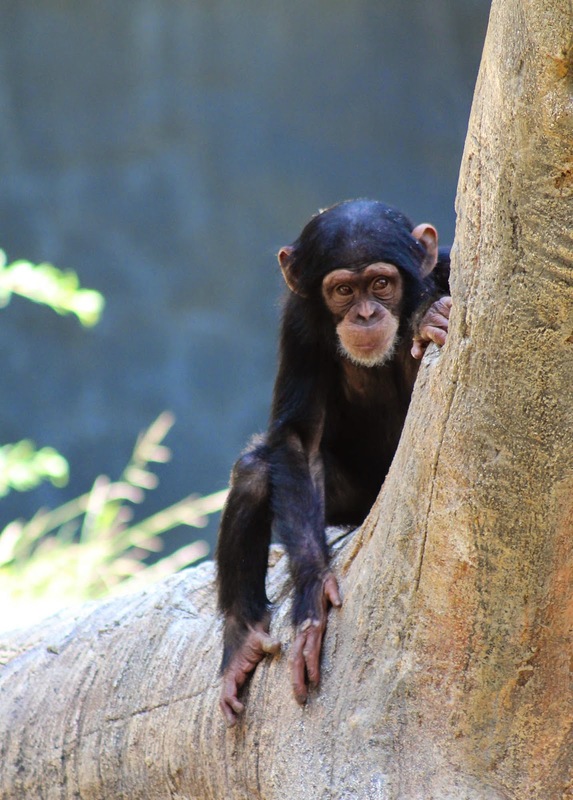 Like humans, chimpanzees are very curious and social animals - they are also highly intelligent. 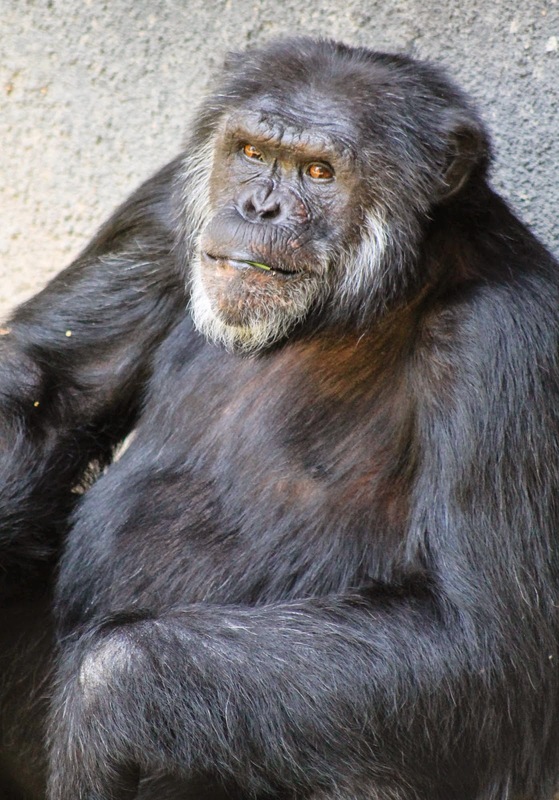 So intelligent, that they share 95-98% of our DNA, making chimpanzees one of the closet living relatives to humans. 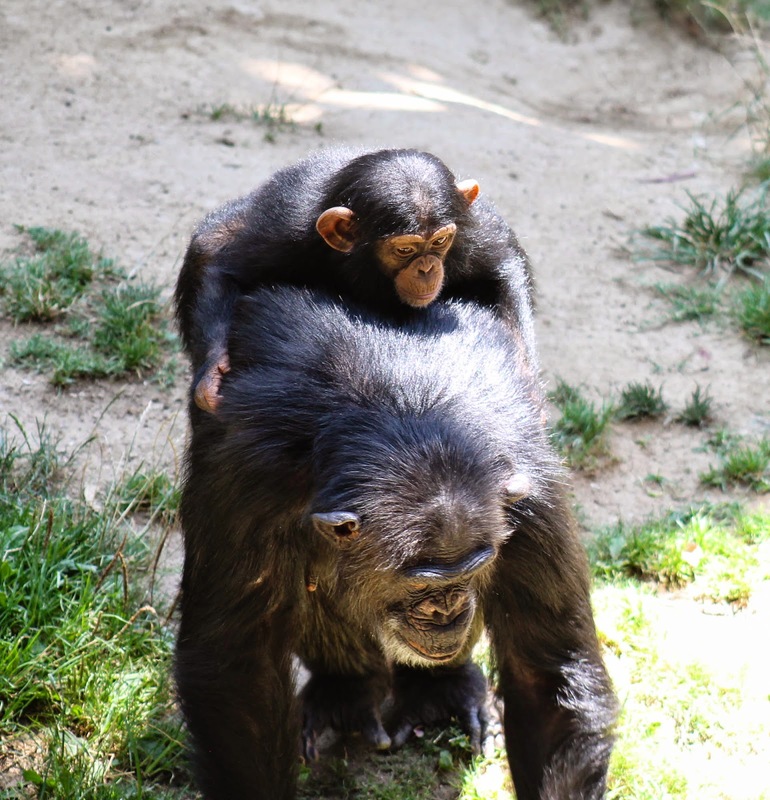 Chimpanzees develop strong family bonds that can last a lifetime, especially between mother and child. Watching the babies play and interact with each other was so much fun. The way they used sticks as tools and communicated with each other through hand gestures and body language was truly fascinating. It was like I was watching kids play at a park. The facial expressions completely melted my heart. 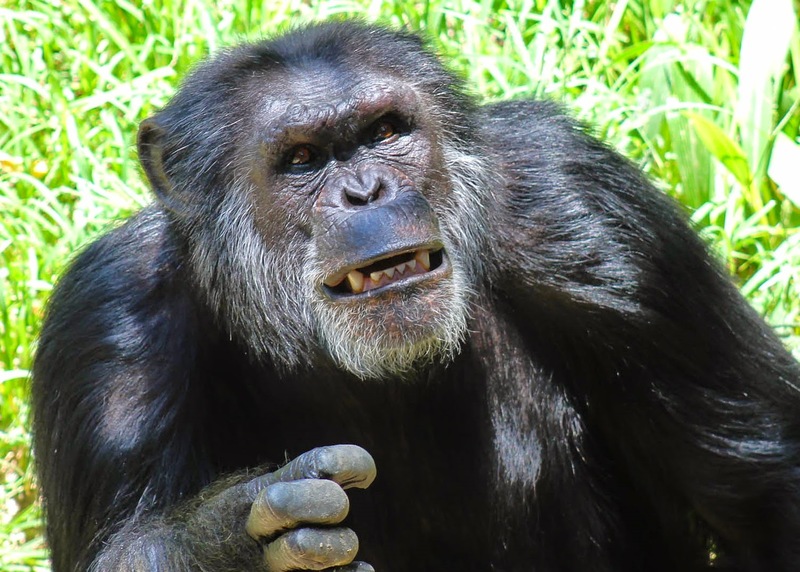 I believe the same characteristics that drew me to watching the chimpanzees play and interact for so long are the very traits that are causing these animals to disappear from their habitats. Chimpanzees are intelligent; therefore, it is easy to train them to do tricks and become performers or in some cases, a household pet. 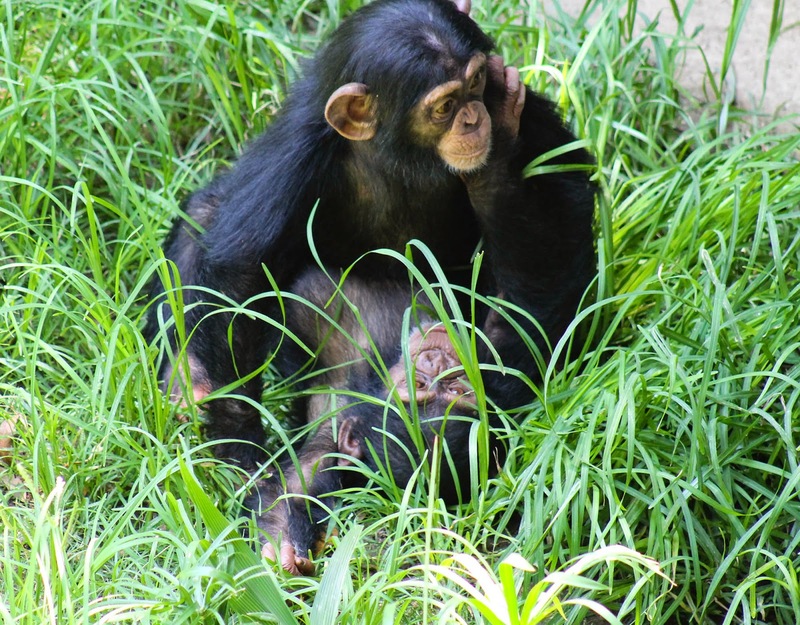 Chimpanzees are neither performers or pets - Chimpanzees are wild animals and should be treated as such. We need to be respectful of their natural habitats and support organizations like the Jane Goodall Institute to help save these highly intelligent primates. 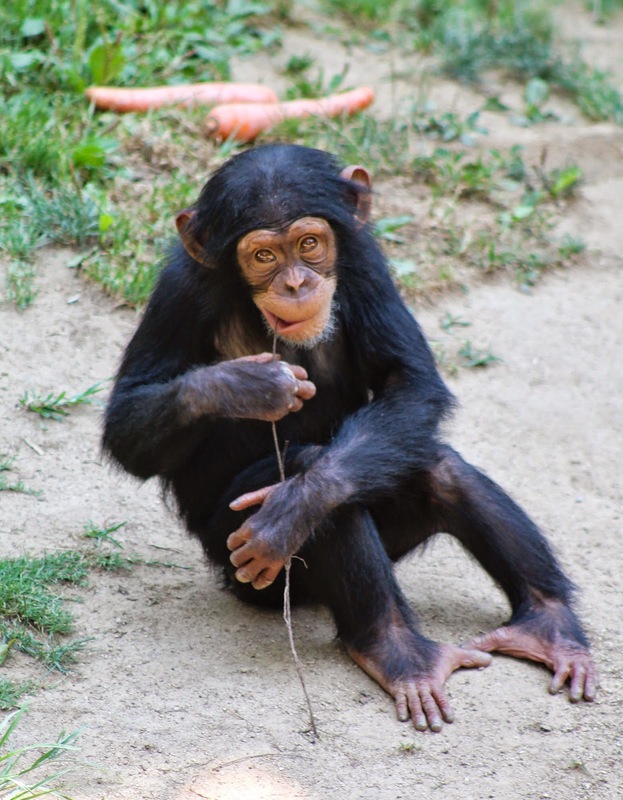 Even though chimpanzees share close to 98% of our genetic makeup, humans are the main cause of harm to the species. As part of the great ape family, chimpanzees are endangered and live under continuous threat from habitat destruction and bushmeat hunters. If that isn't enough to make you think about saving the chimpanzees, then maybe this statistic from the Jane Goodall Institute will at least make you want to learn more. At the turn of the 20th Century, they numbered between 1 and 2 million . 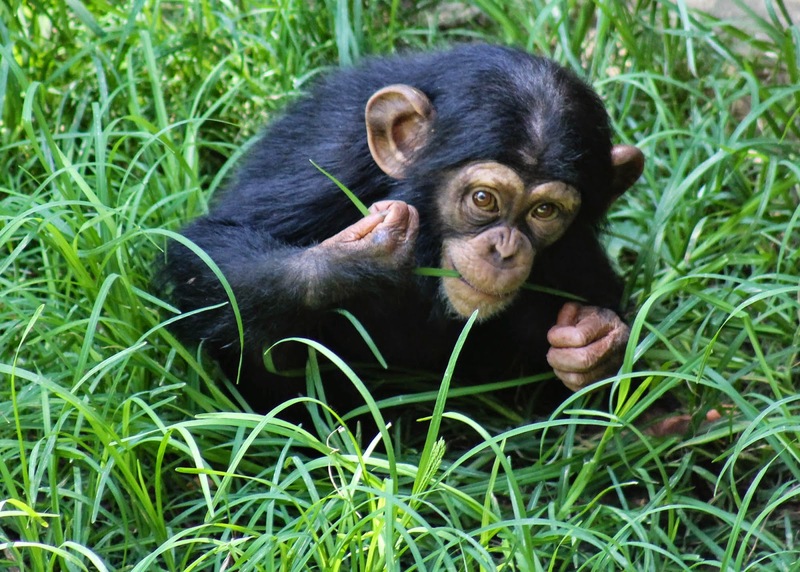 . . now there are estimated to be fewer than 300,000 chimpanzees remaining in the wild. Incredibly—over the past 100 years—we may have lost as many as 1.7 million of the chimpanzees that roamed the forests of Africa.